1929. Radio. Exhibit at Ceredigion Museum. KB Royal Star. Exhibit at the Bakelite Museum. 1955. 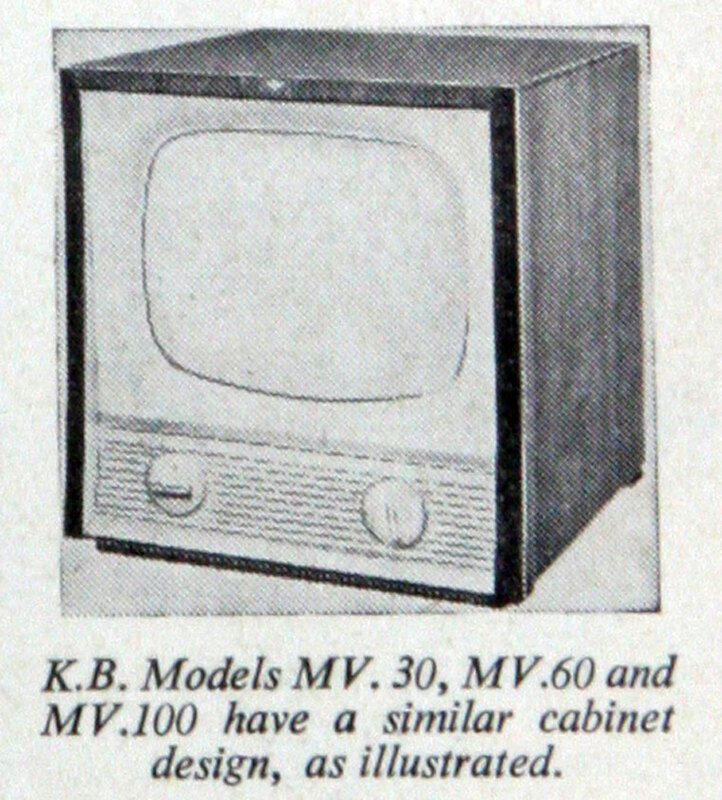 Models MV.30, MV.60 and MV.100 Televisions. 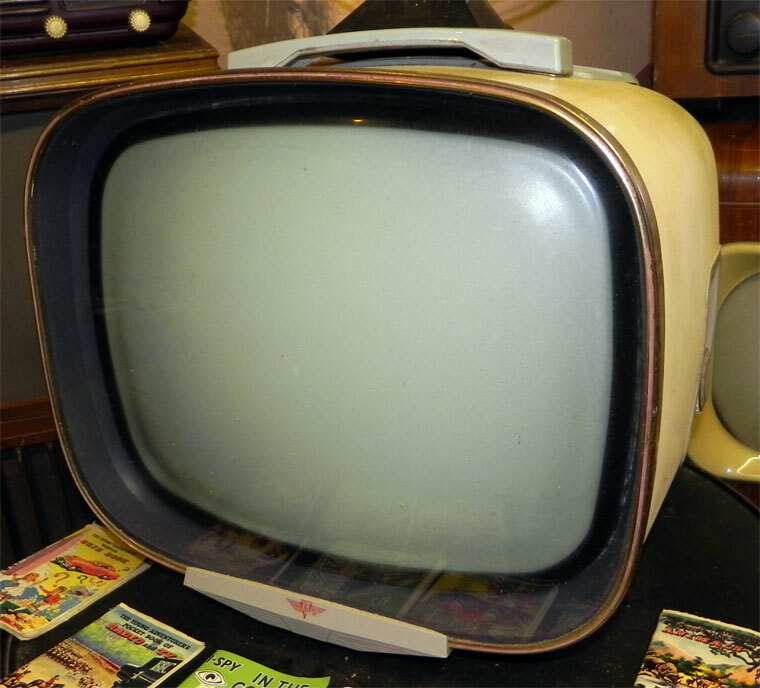 Kolster-Brandes was an American owned, British manufacturer of radio and television sets based in Foots Cray, Sidcup, Kent. The company was a descendant of Brandes, a Canadian company founded in Toronto in 1908. 1924 The British subsidiary Brandes was established in Slough to manufacture headphones. The company rapidly expanded producing a range of loudspeakers and in 1928 moved to a former silk mill at Foots Cray. The company was re-named Kolster-Brandes Ltd., after the American parent company merged with the Kolster Radio Corporation. 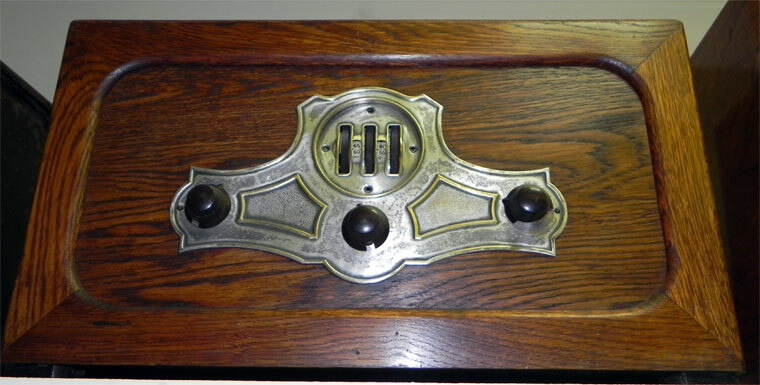 1930 the company supplied 40,000 of its Masterpiece two-valve, bakelite cabinet radios to the Godfrey Phillips tobacco company, who gave them away to customers in exchange for cigarette coupons. 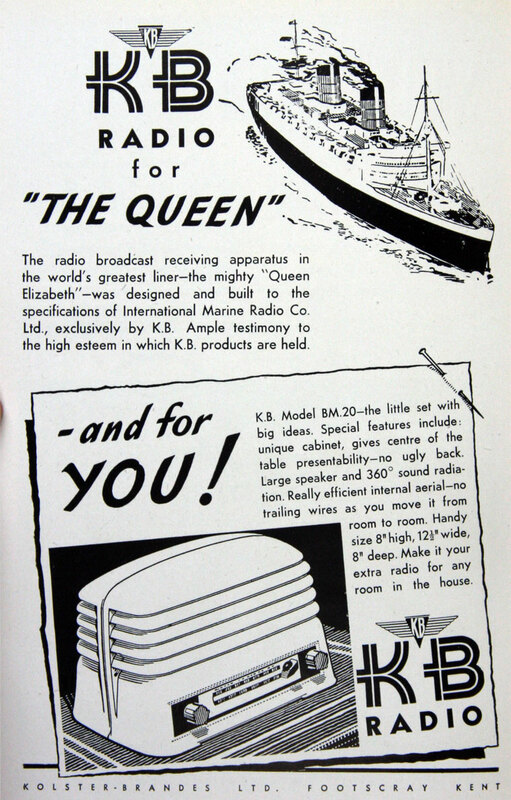 Kolster-Brandes also began a long association with Cunard after they won a contract to provide communications equipment for the RMS Queen Mary ocean liner. 1938 Kolster-Brandes became part of ITT's British subsidiary, STC. The Foots Cray site was shared with Brimar, another STC company founded in 1933 to manufacture American pattern valves for the British market. 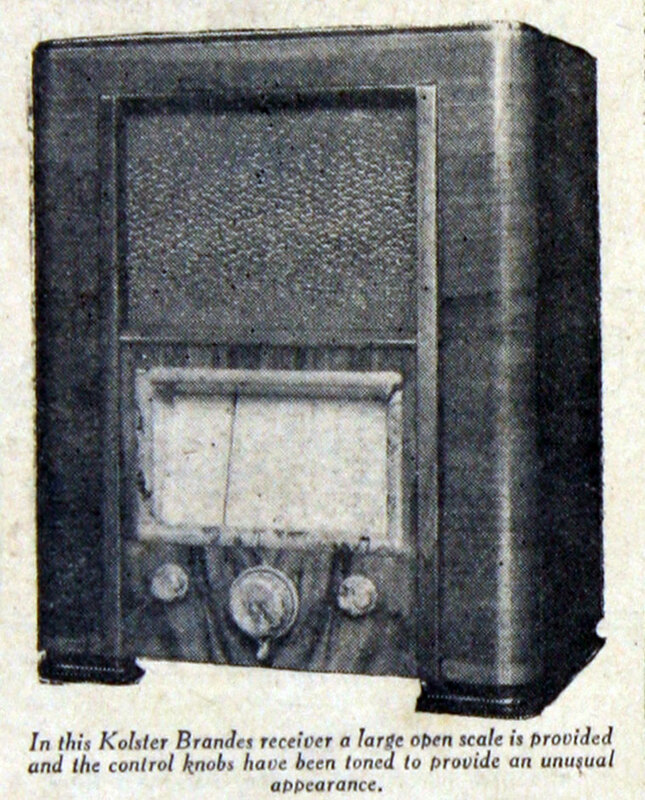 Kolster-Brandes later went on to make mid-range electronics such as radios, radiograms, televisions, tape recorders, amplifiers and gramophones. The company also made a popular selection of record players which included the Playtime, Gaytime, Dancetime, Tunetime and Rhythm, the latter two of which were valve-operated. 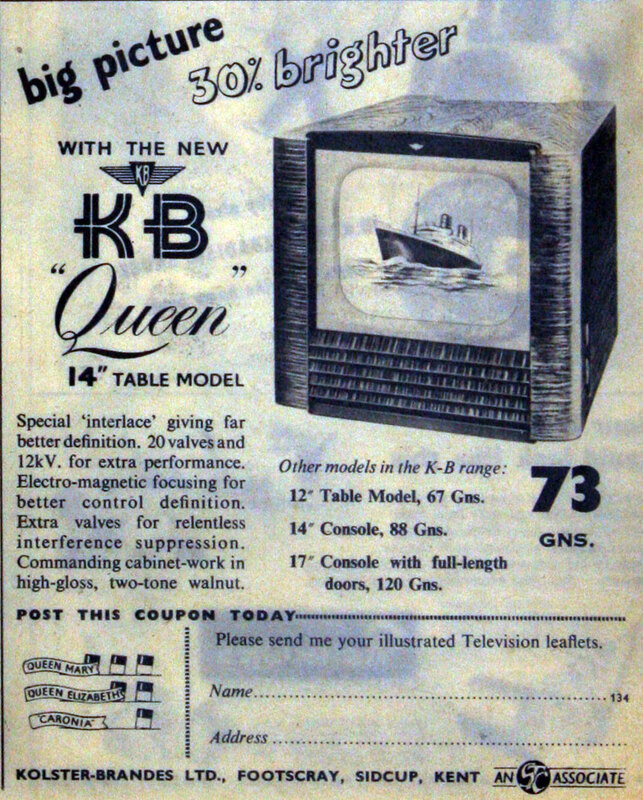 Made the "Queen" tabletop television set, which was one of the first affordable mass-produced television sets. The set used 20 valves and operated at 12 Kv.